Pep Guardiola during his press conference. Manchester City coach Pep Guardiola has declared that winning the Champions League was not his or the team’s primary objective when he signed for the English club. “I did not come here to win the Champions League, but I came here to make the team play the way they have played in the last twenty months,” he told the press conference. “[The home game] is not going to be similar, as we have to score goals and the reason why we tried to control the game that day was because of the matches that we had ahead of us at that moment,” he added. “[It was also] because of how I saw the team against Brighton and how the players were when they came back after the injuries. 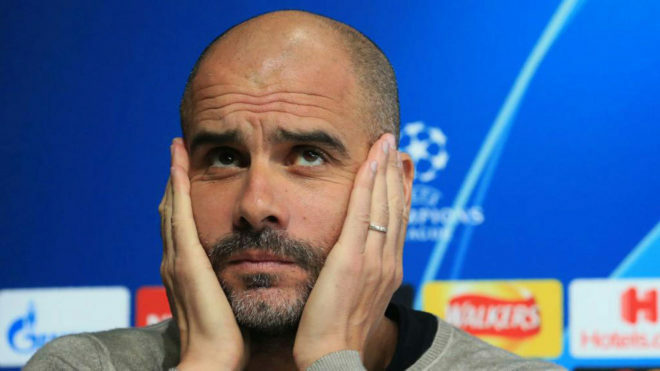 Guardiola avoided discussing a possible final against Barcelona, but claimed that he will follow the Blaugrana‘s game against Manchester United on Tuesday instead of Juventus‘ return leg against Ajax.